Being a freelance marketing consultant, I have worked with many bloggers who are blogging with one purpose only – to get free products, under the pretense of writing reviews and hosting giveaways to help your business grow. I honestly dislike those kinds of reviews and giveaways because most often it is a waste of time and money for the businesses whose products are being reviewed. Not for some other reasons but because the audience of such reviews and giveaways websites usually consists of freebie hunters. They don’t really care about your product or your company. All they care about is getting it for free – whatever it is! And from business marketing perspective, it makes no sense to collaborate with such blogs now, does it?! So, I decided to finally realize this idea that I had for quite a time now – to have a reviews-based website where to recommend products I use as a freelance marketing consultant. Some of the links here may be affiliate ones, others – not. But what I promise you is that all of the products reviewed here are part of my business or personal life and I am recommending them not because someone paid me to do so or sent me a sample. 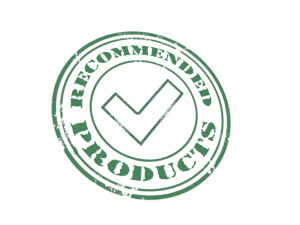 I am recommending them because I have bought the product at some point and I am so happy with it that I want to spread the word; I want to help more fellows’ marketers and small business owners make their work and days easier by using these recommended products. Go ahead now, check out the categories of products I use and recommend!